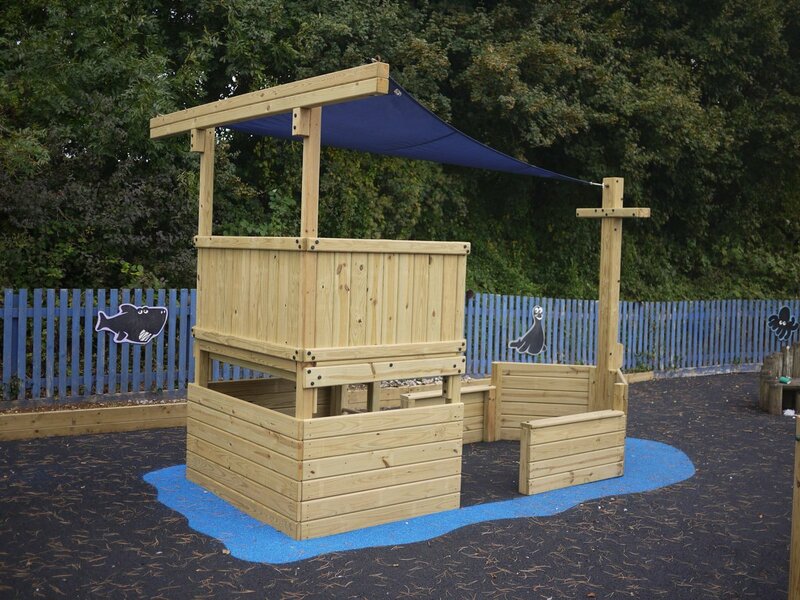 Wood Chip (and Bark) Playground Surfacing is quite a cost-effective system with a natural look. It is easy to install and to maintain. The two words; bark and woodchip, often get inter-used but they are not technically the same type of product. Usually both products are a by-product of timber processing, but bark is often just that – the stripped off bark from logs. So you will see enormous differences in quality and texture. Some suppliers will grade their product according to size but not all. this is normally the cheapest solution and local saw mills often provide the most competitive prices. Wood chip is just that – chips of core timber, but again, some suppliers will have a different definition and include bark with their product. There are some national suppliers of wood chip and the best will have a uniform grading system with cleaned and graded pieces which are the best (but most expensive) for playground use. The downsides are that the bark can get kicked around, it requires regular inspections (to make sure there are no foreign objects in there) and according to the EN1177 Standards should be 300mm deep. This means it requires edging or excavation. Synthetic loose fill is also available. It requires less maintenance but comes at a significantly higher price. Thanks for your work on our site we are really impressed with the finished product.